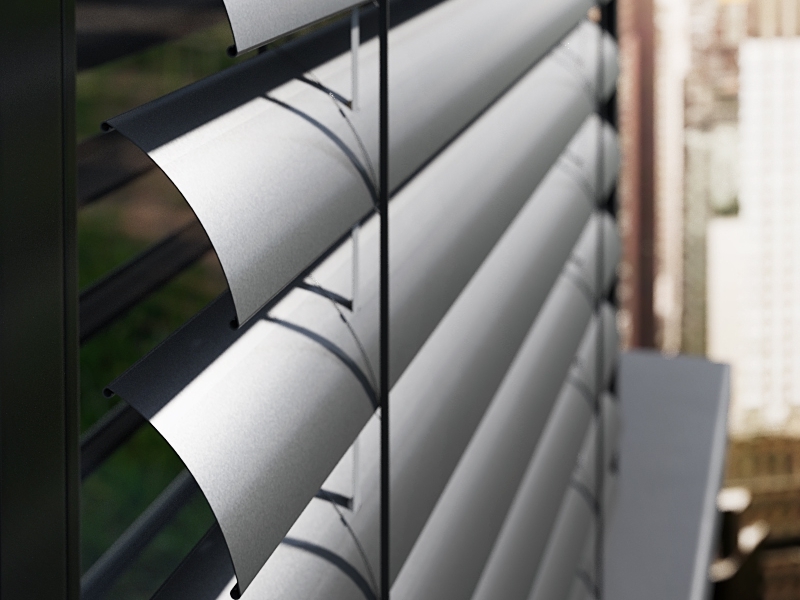 External blinds are an elegant and modern solution, intended to be fitted on building elevations. They serve as insulation, which has a significant impact on the temperature inside the building – that is why the product is mainly intended for buildings with large glazed areas. All types of external blinds can be fitted with a guide or with steel cord (if there is no room for guides) and can be operated with an electric or manual drive (crank). The simple and lightweight design of PORTOS external blinds is a perfect complement to both modern architectural projects and existing buildings. Apart from their insulating function, external blinds improve the aesthetic appearance of the building and are a great visual feature. Carefully chosen blinds combined with the right lighting and air-conditioning systems help reduce costs and contribute to environmental improvements. 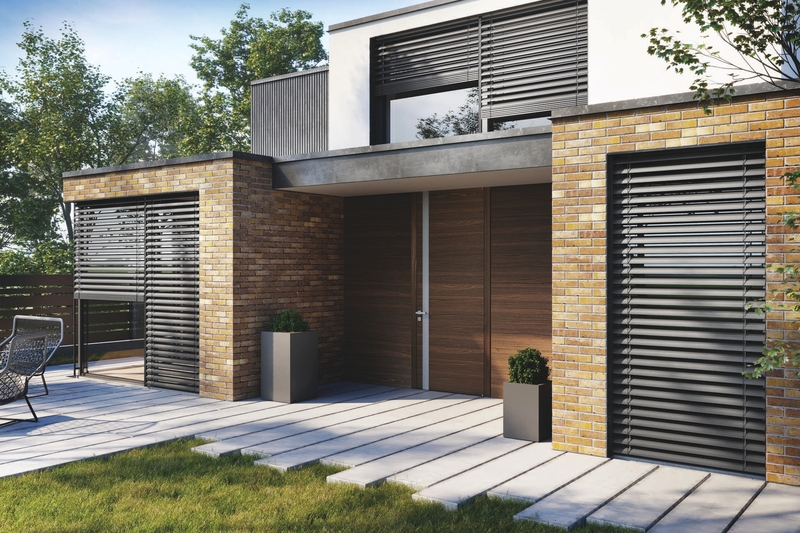 External blinds are an innovative and stylish product, which changes the character of any façade. They protect the insides of the building from excessive sun exposure, providing an efficient barrier which helps maintain a comfortable temperature inside. The ability to adjust the lamella angle makes it possible to fully darken the room and regulates the amount of solar thermal energy passing into the building. In addition, external blinds constitute an effective barrier which eliminates excessive ambient noise. 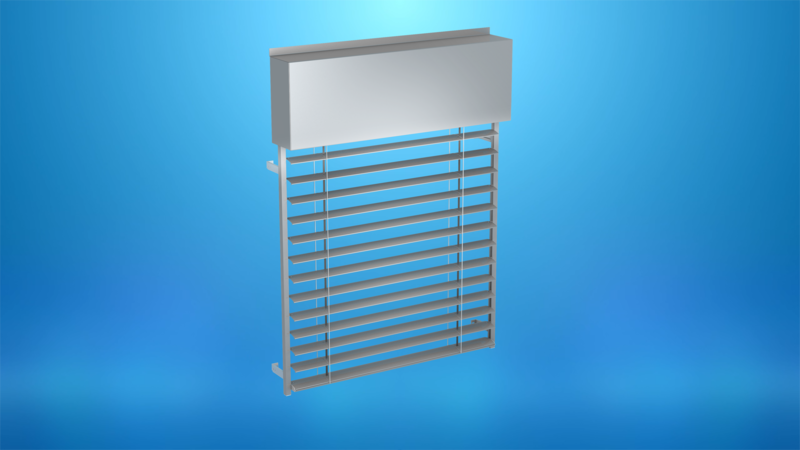 Two types of lamellas are available for PORTOS external blinds: with a C-shaped cross-section, width 80mm, and with a Z-shaped cross-section, width 90 mm. In order to protect the lamellas from adverse weather conditions, their outer layer is coated with polyester-based paint. The wide range of RAL colours on offer makes it possible to choose the right product for any façade. The functionality of the system is additionally increased by the possibility to use a number of additional devices with electrically operated blinds.